Radio Free Amsterdam founder, producer, multiple host and program director John Sinclair is a poet from Michigan who has been programming music for his listeners since 1958 when he started spinning records at after-school record hops and house parties around his home town as Frantic John—Flint’s Youngest Disc Jockey. Sinclair’s radio career began in 1959 with a morning R&B show on the carrier current radio station in the men’s dormitory at Albion College and resumed several years later after he completed his A.B. in English Literature at the University of Michigan—Flint College and graduate studies in American Literature at Wayne State University in Detroit. In 1968 Sinclair was invited by DJ Jerry Lubin to co-host his Saturday show at WABX-FM in Detroit, and the collaboration continued until Sinclair’s imprisonment in July 1969 for possession of two joints. Sinclair served 29 months in Michigan prisons before he was freed on appeal bond on December 13, 1971, three days following a massive John Sinclair Freedom Rally at Crisler Arena at the University of Michigan headlined by John Lennon & Yoko Ono and Stevie Wonder. He returned to life in Ann Arbor and in September 1972 with partner Peter Andrews co-produced the Ann Arbor Blues & Jazz Festival. Prior to the Festival Andrews engineered a deal that resulted in Sinclair’s first regular radio show called Toke Time—The Blues & Jazz Festival of the Air on WNRZ-FM in Ann Arbor, originally co-hosted with bluesman Hawg Tate and then produced & hosted by Sinclair for the next two years. Sinclair then moved his programming to the University of Michigan campus station, WCBN-FM, where he produced a series of programs including Ancestor Worship, RE: Visions—Another Look at Modern Music, Music of Detroit, and The Sound of Detroit, which featured live recordings of jazz artists in performance in the Detroit area and throughout Michigan. Sinclair was off the air until 1989 when he resumed regular radio programming with the Blue Sensations show on WDET-FM, Public Radio in Detroit. He moved to New Orleans in 1991 and began a 12-year residency at WWOZ-FM, hosting the Blues & Roots show on Saturday nights and the Wednesday afternoon New Orleans Music Show while pioneering the station’s live broadcasting project, producing programs for national syndication, and designing, producing and anchoring the annual WWOZ broadcast from the New Orleans Jazz & Heritage Festival. He won a Silver Reel Award from the National Federation of Community Broadcasters for his Mardi Gras Indian Music Special in 1994, and from 1999-2003 Sinclair was voted New Orleans’ favorite radio personality by the readers of OffBeat magazine. In 2003 John Sinclair moved to Amsterdam and took up what became known as podcasting, working with Henk Botwinik and Larry Hayden to create the John Sinclair Music Show on November 22, 2004 and making programs on location in coffeeshops, nightclubs, restaurants, concert halls, art galleries and other public venues including Schipol Airport. On January 1, 2005 the John Sinclair Music Show show became the foundation of Radio Free Amsterdam and Sinclair produced & hosted a series of programs for the network including Sinclair On The Air (heard on Salto Wereld FM Radio), Blue Dolphins, the 420 New Orleans Music Show, Jazz from the Hempshopper, Bartender’s Bop, Vintage Radio Vaults, and the recent revivals of his classic programs Toke Time and Ancestor Worship. 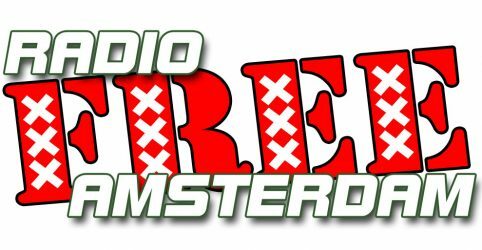 With the crucial support of Henk Botwinik, Joeri Pfeiffer and Sidney Daniels the Radio Free Amsterdam website and Live Stream continued to develop and grow. 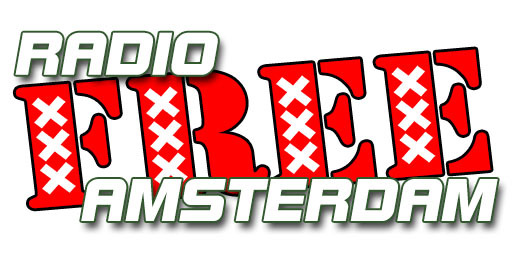 As program director for Radio Free Amsterdam Sinclair produces and posts an hour or two of original programming each day from his own productions and contributions from fellow independent producers including Lucille DJ from controradio-fm in Florence, Italy, Bruce Pingree of WUNH-FM in Durham NH, Leslie Keros of WDCB-FM in Chicago, Cary Wolfson from the Red Rooster Radio Network in Boulder, Colorado, George Klein from Ypsilanti, Michigan on taintradio.org, Steve The Fly from the Fly Agaric 23 Studio in Amsterdam, Tom Morgan of jass.com in Pensacola, Florida, Harry Duncan of KCSM-FM in San Francisco, Caleb Selah of housedem.com in London, David Kunian from WWOZ-FM in New Orleans, and Scott Barretta of Mississippi Public Broadcasting in Oxford, Mississippi. He’s also responsible for maintaining the extensive RFA Archives; selecting, editing & annotating all programming; selecting and posting the graphics; and maintaining the Live Stream. Sinclair produces a new episode of The John Sinclair Radio Show every Monday from locations all over the world, with home base at the 420 Cafe in Amsterdam and programs emanating from Amsterdam, London, Paris, Rome, Genoa, Florence, Barcelona, Antwerp, Tokyo, Santiago, New York City, Los Angeles, Detroit, New Orleans, Chicago, Seattle, New England and points in between. For two years (2009-2011) he broadcast an hour each day on Detroit Life Radio, and his programs were also carried daily by TapDetroit.com in the Motor City.